Conceived as a competitive aircraft the Bf 108 would take part in the 1936 Berlin Olympics. Following this the type would serve with the Luftwaffe during the Second World War. Ironically the Messerschmitt Bf 108 would also serve with the Royal Air Force at the same time under the name Aldon. During 1934 the Fourth Challenge International de Tourisme was to take place and with Germany requiring an aircraft to compete a contract was given to Bayerische Flugzeugweke AG (BFM) to produce the aircraft that was to represent Germany. Known as the BF 108A seven were produced, six were powered by 225-hp Hirth HM8U engines and one by a 220-hp Argus As 17B engine. June 1934 would see the prototype make its first flight. 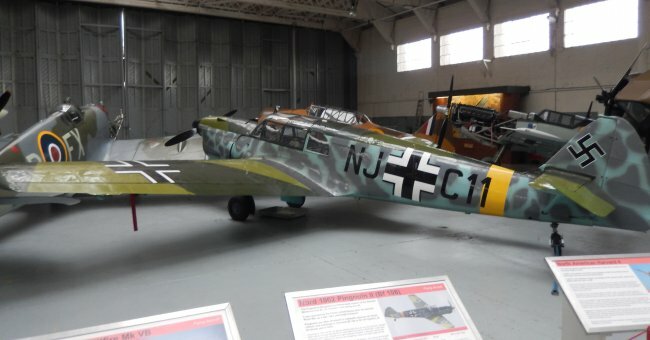 Of all metal construction and with retractable undercarriage the Bf 108 could hold upto four people and compared to other touring aircraft of the period was a significant jump forward. 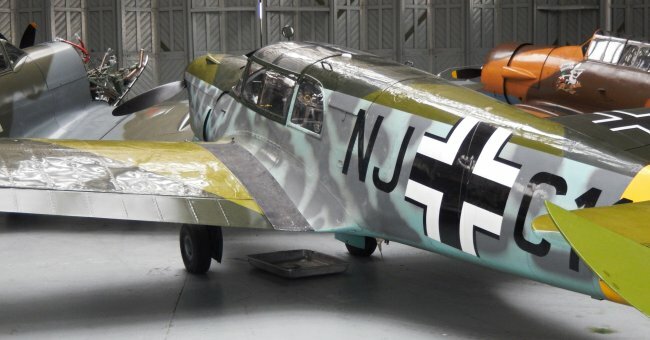 Whilst undergoing training for the Challenge International de Tourisme one of the aircraft would crash and the Bf 108 was almost withdrawn due to pressure by Germany's team manager. In the end four examples would compete and despite taking the top three spots in both the maximum speed and fuel consumption, overall they were unsuccessful. This was because their competitors were lighter thanks to their wood and fabric construction. Development of the type continue and in 1935 the Bf 108B appeared with the fin and rudder having undergone modifications, the upper external tailplane bracing removed and a skid replaced the tail wheel. Power would be supplied by a 240-hp Argus As 10 engine. Experiments were tried with the installation of a radial engine in the form of a 160-hp Siemens Sh 14A but the engine proved ill-suited. Over the next couple of years the Bf 108 began to show its capabilities and performance which resulted in record flights and competition success. These included flights by German pilot Elly Beinhorn who sometimes flew a Bf 108A called Taifun (Typhoon) which the type would be known as. The Bf 108 would also compete in the aviation rallies that took place during the 1936 Olympic Games which were held in Berlin. With the Bf 108 now in production manufacturing of the type would begin at the Bayerische Flugzeugweke at Augsburg before moving to a new factory at Regensburg, by which time it had become Messerschmitt AG during July 1938, and over 500 aircraft would be produced at these factories. Production moved again in 1942 when the SNCAN factory at Les Mureaux near Paris took over production of the type. When the Messerschmitt Bf 108 entered service with the Luftwaffe it was to be used as a liaison and personnel transport aircraft during the Second World War and was used in a similar role by the Royal Air Force, under the name Aldon, at the same time and post-war. Although a number of designs for different variants of the type were put forward only one would reach the prototype stage, of which two were built, and this would be designated the Me 208. Despite one of the prototypes being lost as a result of an air raid the aircraft would be put into production post-war and now known as the Nord 1101 Noralpha and would feature tricycle landing gear. Post World War 2 Les Mureaux continued production of the type under a new designation of Nord 1000 Pingouin series and a further two variants of the type were produced. The 1001 Pingouin I which was powered by the 240-hp Renault 60-10 engine and the 1002 Pingouin II which was powered by a Renault 60-11 engine. 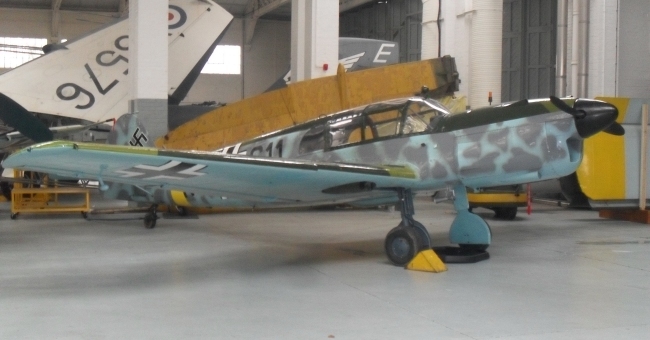 In total 885 Bf 108s were produced with 250 built post-war bringing total production to 1,170. 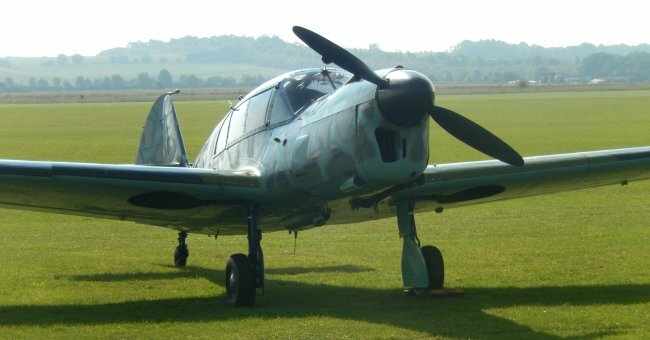 Bf 108A Only seven examples built. Me 208 Only two prototypes produced. Nord Pingouin Name given to Nord 1000, 1001 & 1002s built post war in France.